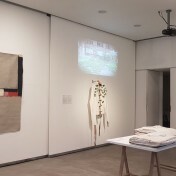 Feminist plots, exhibition of LABi 2019 (Laboratory of thought, creation and diffusion of the image), a project of the Master in Photography, Art and Technique of the Polytechnic University of Valencia in collaboration with La Posta Foundation, Image Research Center, seeks to generate a reflection on the various proposals in textile art and its multiple links with women artists and/or artisans. For which it gathers pieces of the creators Teresa Lanceta, Bia Santos, Miriam Martínez Guirao, the collective artistic project CraftCabanyal, Anabel Mateo and Jessica Espinoza. With the exhibition “Suspended Places. 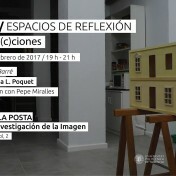 Revitalizing Urban Identities”, an exhibition organized by LABi (Laboratory of thought, creation and diffusion of the image), integrated by a group of students of the Master in Photography, Art and Technique of the Polytechnic University of Valencia, in collaboration with La Posta Foundation, we have the opportunity to see a series of pieces from the March House-workshop in Mare Vella street; along with works by Pau Figueres and Pepa L. Poquet, in a dialogue that comes to focus attention on the impacts and transformations suffered by the city, little attentive to the life forms that inhabit it; because the March workshop suffers the threat of the pickaxe, for the sake of the progress of the city (the opening of a square at that point is intended, in order to be able to contemplate the remains of the Islamic wall of the city). 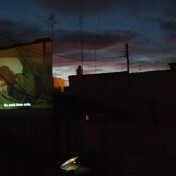 During the past year 2018 Vicente Ponce and Miguel Ángel Baixauli have launched, in collaboration with Sonia Martínez and Nuria Enguita, the program "Images on Images. From cinema to photography", a new way of approaching the enjoyment of images, taking as an argument some exhibitions that have taken place at Bombas Gens Art Center, but the power of the device put into action is of such intensity that it has sufficient entity in itself for us to pay attention to it, independently of the exposures to which it was associated. The 4th season 2017-2018 began with what has probably been the most relevant activity developed by La Posta since its inception, at least as regards its global reach, it is "Alexander Kluge. 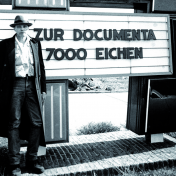 Gardens of Cooperation "; and it has ended the same, with the world premiere of the montage conceived by Harold Berg "Gordon Matta-Clark, Jacob's Ladder in Documenta 6", made with unpublished material never before shown. "Museari Queer Art" is the 3rd edition of Museari, Museu de l'Imaginari, at La Posta Foundation. 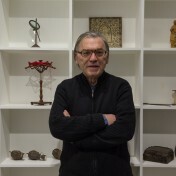 It is a selection of works by artists who have gone through www.museari.com since July 2017 until now: Andrea Perissinotto, Mar Morón, Alex Francés, Gledys Macías, Lucia Marrades, Emilio Martí, Javier Velasco, Lluís Masià, Anna Maria Staiano and Angel Garcus. This spring is dominated in La Posta Foundation by Emerging Workshops [Cyanotype, Color Tune, Psychogeography, ZOMBIE SPACES | SOUTH VALENCIA], all of them coincide in expanding the concept of art ―in some cases the brushes have been literally handed over to the attending public―, and in several of them the public has been taken to the street, to live and reflect on the public space, which had traditionally been considered as the quintessential domain of sculpture. 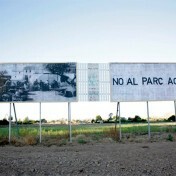 It is this concern for the population residing in the territory, which does not appear in the images because it has been or is being displaced, its absence is what marks these landscapes, as well as the taking of the party in favor of its vindication in favor of the conservation of those territories as they were before the interventions that have displaced them. It happens sometimes when an exhibition is prepared, when selecting works, thinking about them, investigating their lives, restoring them if it is the case, sometimes surprises arise. There is a memorable case among the exhibitions held in Valencia. This is the case of the exhibition that took place in the MuVIM from April 27 to July 16, 2006 "Valencian painting in the Ermitage collection. Centuries XVI-XVII". The well-known Russian museum ceded works of Valencian painters of the Renaissance that it hoards in its collections, and on the occasion of the preparatory works of the exhibition in the MuVIM, which were carried out by the curators of the Valencian museum, it was discovered that some of the works donated for the exposition was false (or let's say that the authorship had been attributed in the wrong way). 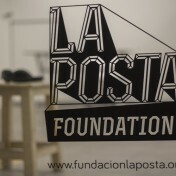 In just three seasons, the activities of La Posta Foundation have gone from being mainly exhibitions of plastic arts/visual arts, incorporating an important educational and participative content, and, lately, a process of extension and ramifications, As a result of the collaboration with other friendly entities, as well as of the potential of the projects being developed, which unfolded showing aspects that, although implicit, had not developed their full capacity. 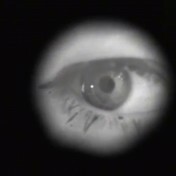 4 changes of clothing in 30-minute intervals (non-action time), suspended time in which performers observe and are observed by an audience that behaves according to unconscious and everyday habits.